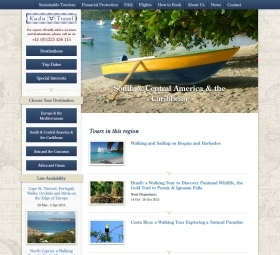 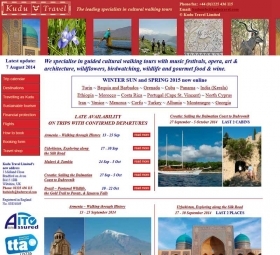 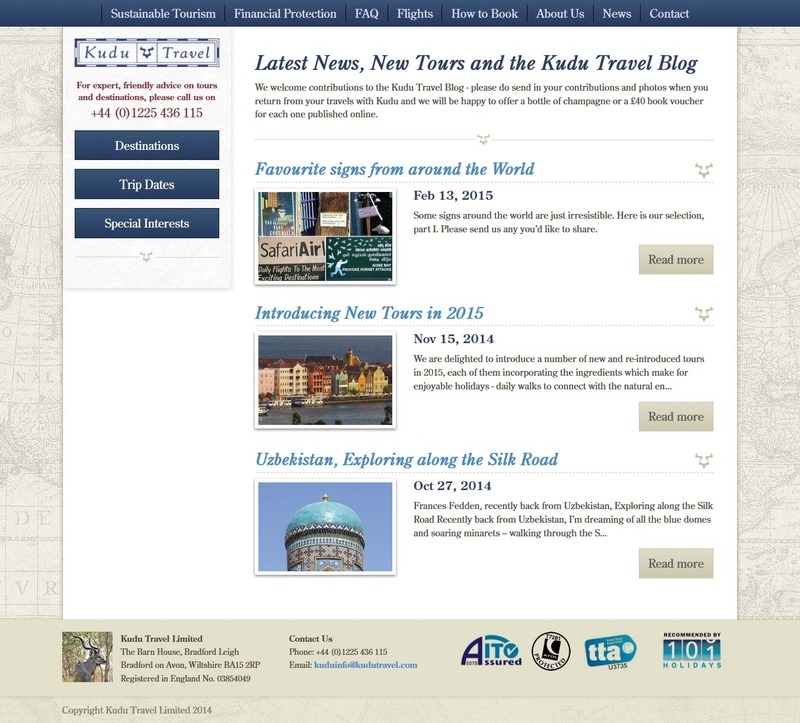 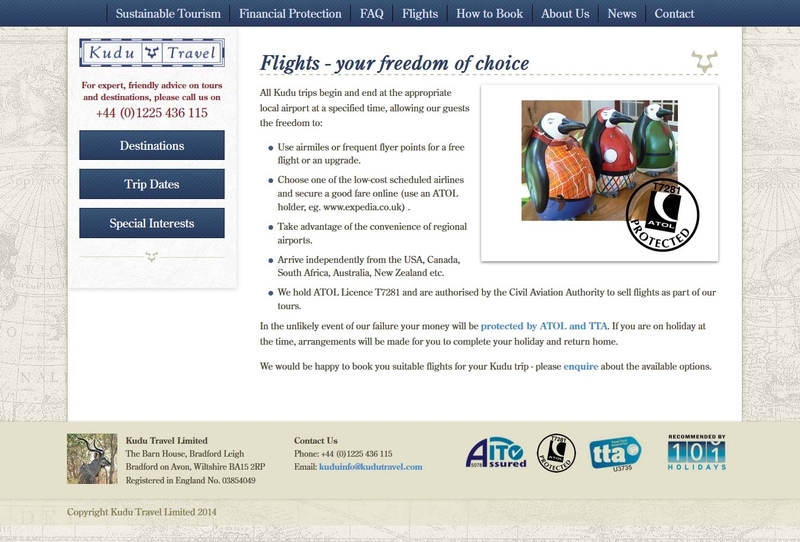 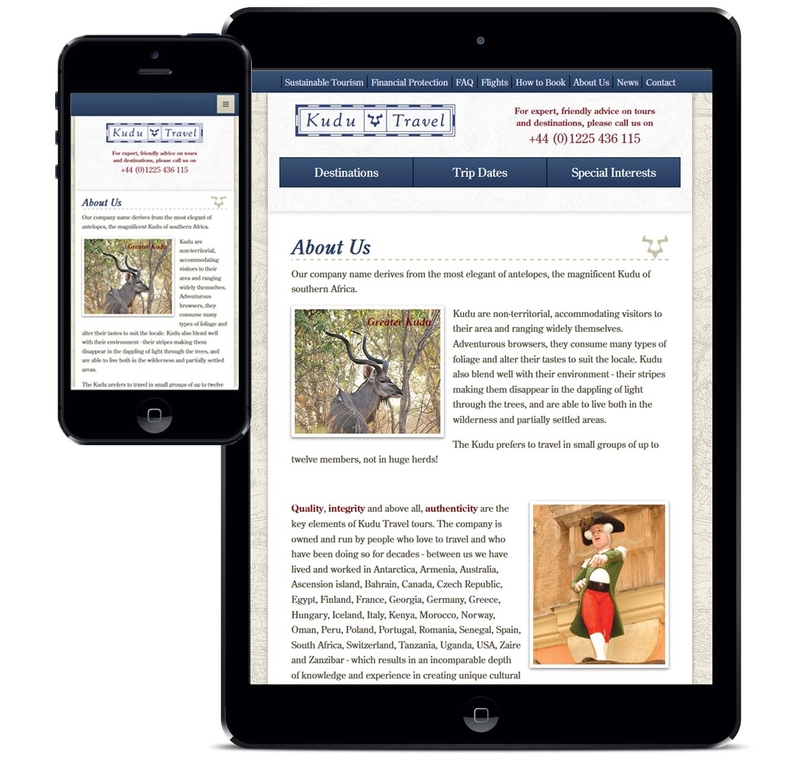 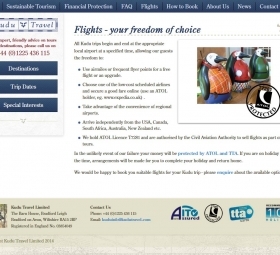 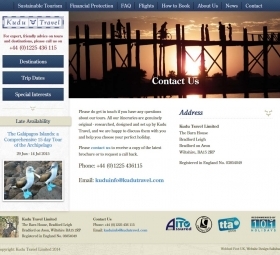 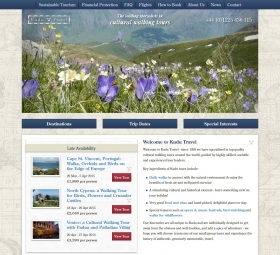 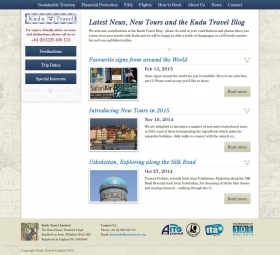 Kudu Travel, a specialist travel company, had a website that they had been using for years and was looking dated. 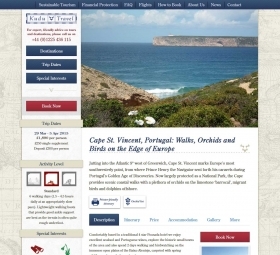 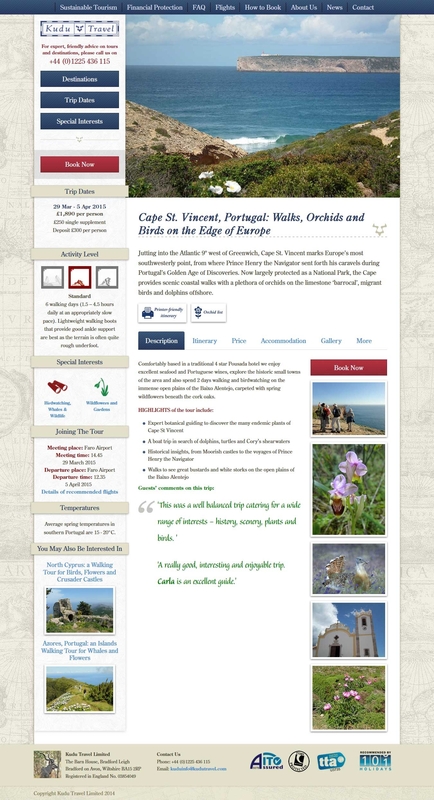 They wanted to improve the engagement of their visitors and really show off their unique tours in order to boost online (and offline) sales. 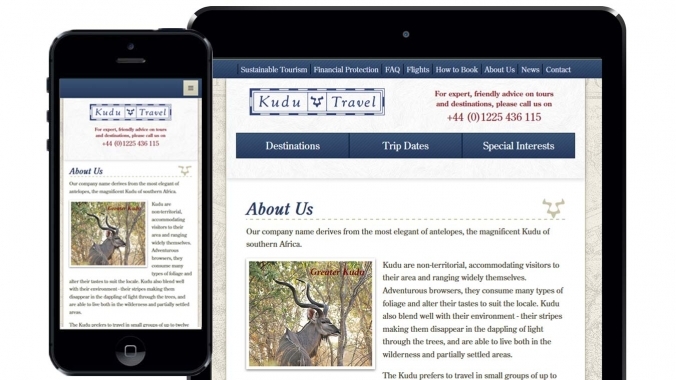 When crafting the Kudu Travel Company website we focussed on making sure that there were prominent calls to action compelling visitors to enquire and book tours. 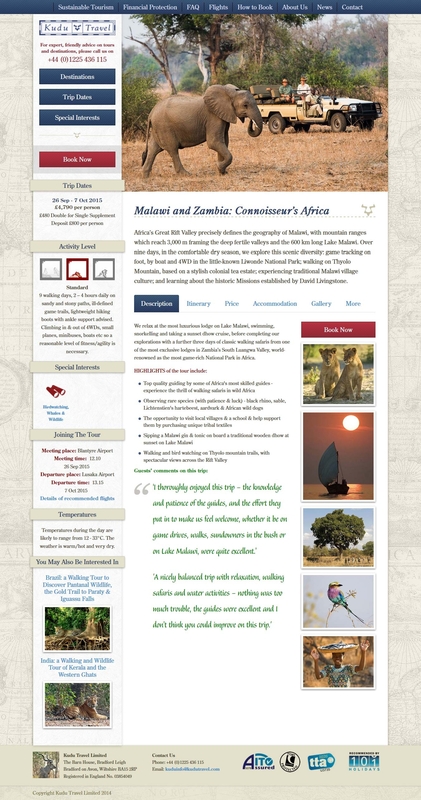 A clear, structured layout of the tours ensured that people could easily see the key facts about each tour without overwhelming them with information. 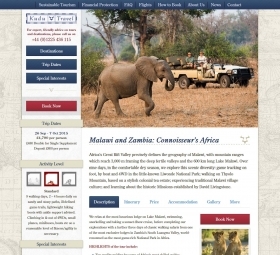 As filling up partially booked tours is particularly profitable the home page is design to draw attention to the late availability tours. 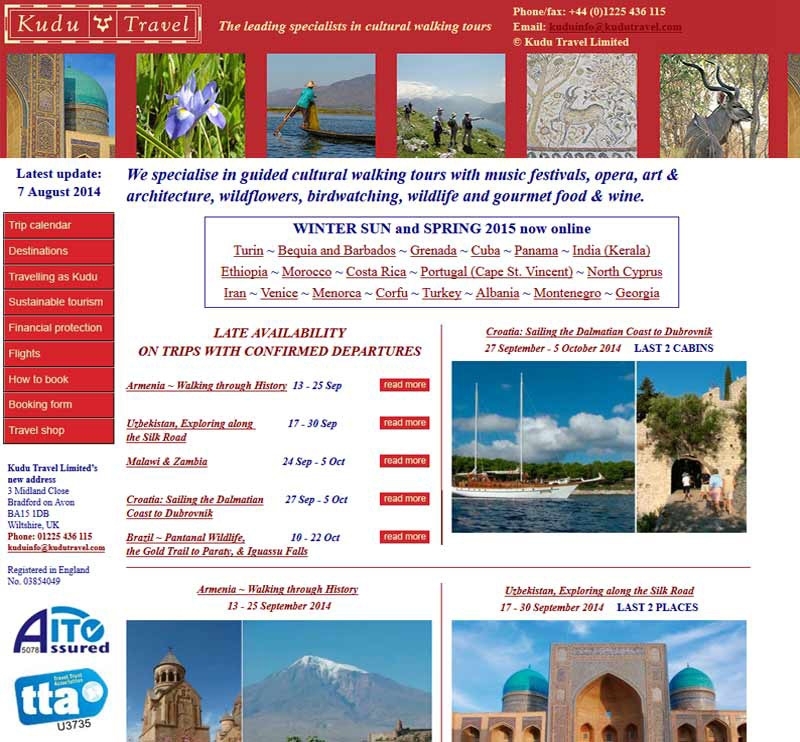 The new design made the most of their high quality photos from their tours to really immerse the viewer in each destination. 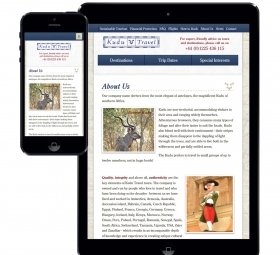 Their bounce rate dropped tenfold after the new site was launched.Two months later it's clear to see the impact the newly designed website has had; the bounce rate (where visitors leave after looking at the first page) has dropped tenfold. 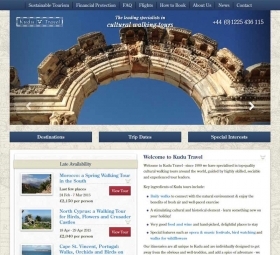 The engagement of visitors has increased massively as shown by the number of pages viewed by visitors increasing 300% and visitors spend 50% longer on the site perusing their tours. 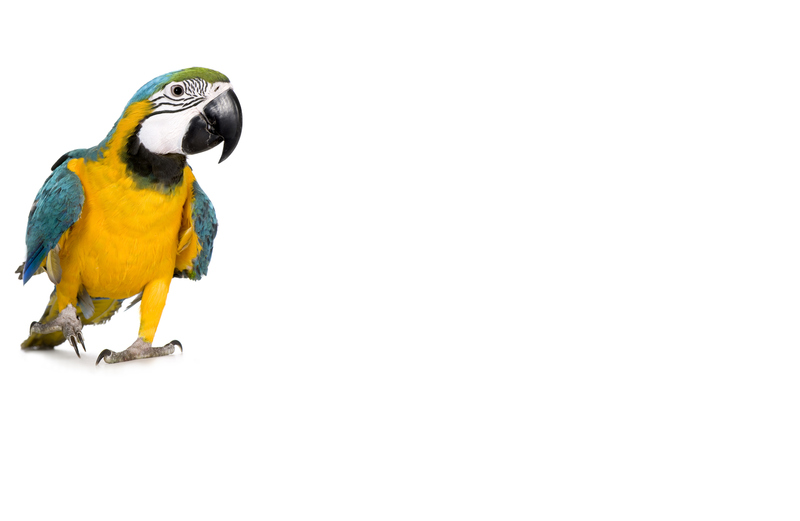 We are Webbed FeetUK. 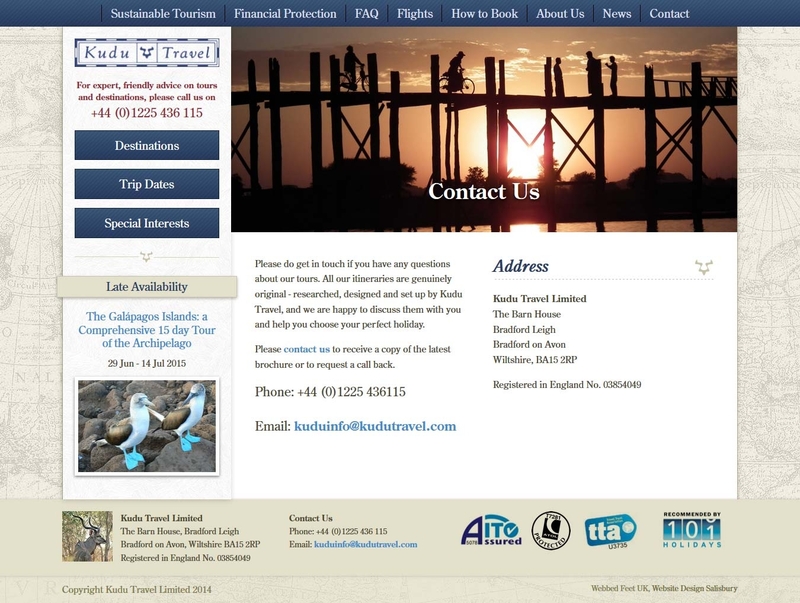 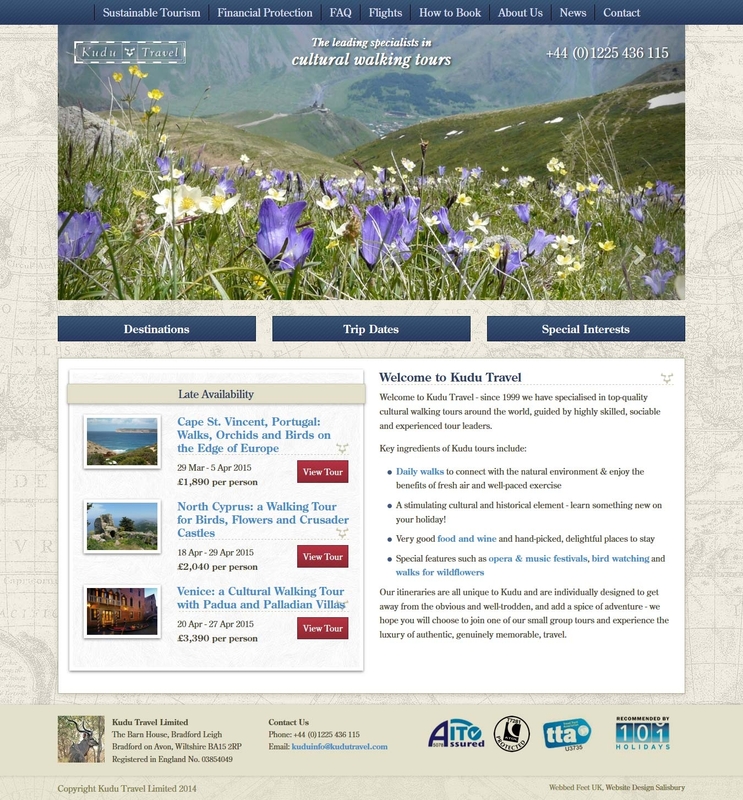 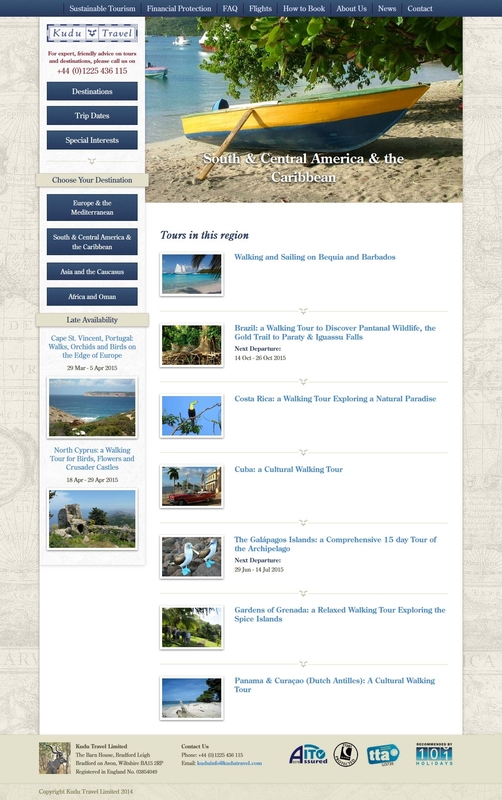 We offer travel company website design.